The Sopra Pendant light by Tech Lighting features an elegantly crafted sphere of laser etched pure optic crystal that has been shaped into a neat cylinder shade. 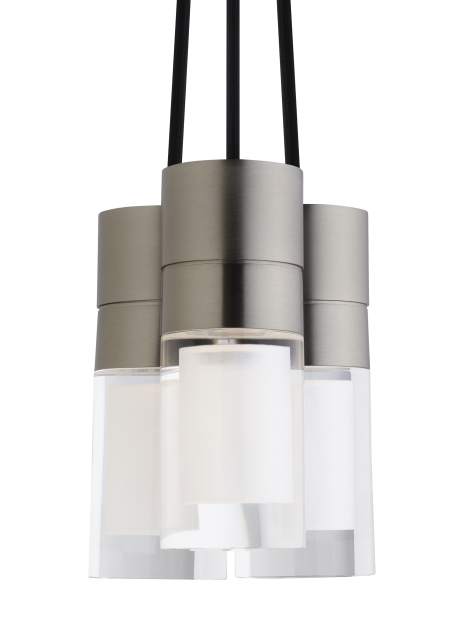 A cleverly hidden powerful downward-firing LED illuminates the crystal within the minimalist socket and canopy. Further customize the Sopra by choosing from three finishes, each finish further enhances the elegance of this unique pendant. Modest in scale the Sopra is ideal for living room lighting, home office lighting and bedroom lighting. Carry the Sopra into other spaces with the Flush Mount fixture also available by Tech Lighting, simply search for the Sopra Pendant to find its closest relatives. The Sopra comes with energy efficient fully dimmable integrated LED lamping.